by James Pearce - WSAA member. Since catching my first bass over fifteen years ago on my local beach, I have been truly obsessed, with what is in my opinion the most attractive and hardest fighting fish caught from our beaches. My passion for catching this fish has had me travelling all over the coasts of England, Ireland and Wales and putting in many hours of research and fishing, trying to learn more and more about how and when bass will be on the feed. Many anglers catch bass by mistake when fishing beaches for flounders, whitings and other species but when the bass are targeted the rewards can be great. Bass numbers have increased on the northeast and North Yorkshire coast in recent years and many anglers have started to target them mainly from kayaks or rock marks with spinning outfits and expensive lures, but bait fishing on our local shallow beaches can be just as exciting and much more productive even in the winter months as our resident population of bass stay around our beaches all year round. In this article I am happy to share some of what I have learnt over the years with even the most experienced angler and hope this helps sea anglers get amongst the bass. The myth that bass are to hard to catch is exactly that, a myth, and like most species of fish the sea angler targets bass will take most baits we throw at them and like most species bass will concentrate on certain baits at different times of the year and learning these simple changes in the fishes diet will improve your catch rate hugely. This blurry picture, 10 lb 06 oz, was my first bass over 10 lb. 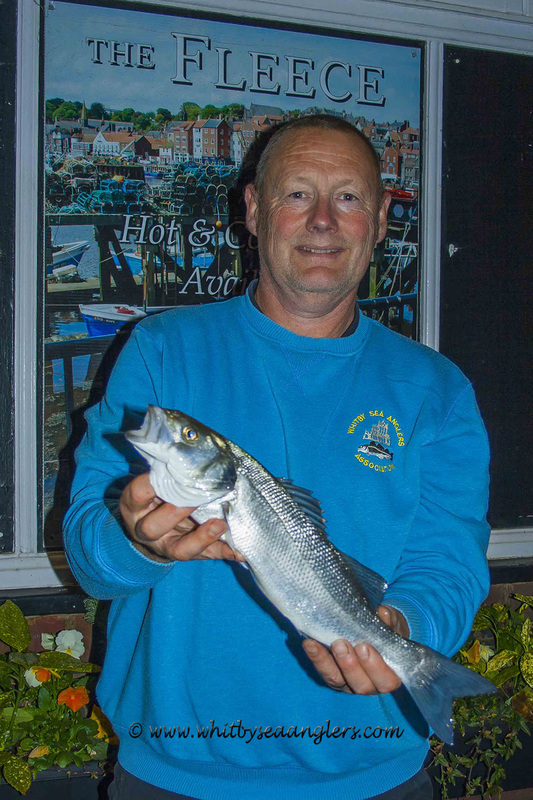 I have been lucky enough being able to travel to some of the best known bass beaches and estuaries all over England, Ireland and Wales and caught thousands of bass over fifteen years on both bait and lures. But all my biggest bass have fallen to bait on my local beaches between Saltburn and Whitby with my personal best bass standing at 12 lb 08 oz, this monster was caught on Saltburn beach with the last cast of a six hour session on a big lugworm bait, this fish was unhooked, weighed, photographed by the chef at The Ship Inn, Saltburn (and is on displayed there) then returned safely to the surf. One thing I have learnt over time is every beach or venue is different and tide and sea conditions determine weather the bass are feeding or not but bass are a creature of habit. 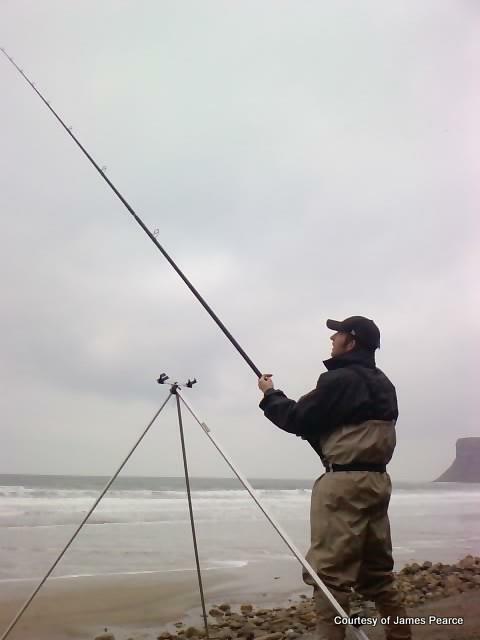 When conditions are right bass will be feeding hard sometimes tight in at your feet in only inches of water and on our local shallow beaches like Saltburn, Sandsend and Runswick with a five meter plus tide and a light south easterly wind with a 1 ft to 3 ft surf running we have perfect beaches for good bass fishing. The beaches mentioned above are perfect as they are surrounded by rock marks and scaurs which drop off into deeper water, the bass will hold in the deeper water off these scaurs until the tide begins to flood then they will follow the surf in feeding in the small gullies and amongst the rocks swimming with the current of the tide moving across the scaurs and onto the sand the bass will run where the last breaker starts to roll into surf then dart in closer behind the surf feeding on the fish, sand eels, worms etc. The surf churns up so when fishing these beaches at the start of the flood its best to start on or as close to the rocky scaurs as possible moving onto the sand as the tide floods and casting just behind where the last breaker rolls and forms into surf. If your not getting bites there simply shorten the length of your cast trying between the surf where you have the tables of flat water also look for depressions or small gullies in the sand along the beach as the tide pushes in and the surf covers these gullies this is where you need to be flicking a bait as the bass will feed in them. Bass will feed and be caught in rougher conditions on these beaches with northerly and easterly winds blowing but personally I prefer to fish the bigger tides with a small surf and light southeasterly wind as this wind gives you long lines of light surf with big tables in-between whereas northeasterly winds etc give you bigger messy surf which makes finding the fish harder, bass will also feed in daylight on our local beaches not just at dusk, dark and dawn and bass can come on the feed at any stage of the tide, flood, high water or the ebb so patience is a must. This one, photographed, is 7 lb caught in the summer of 2013. on the same day as the 6 lb bass above. 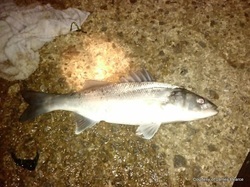 Bass will move with the tide running up and down the surf so if your catching bass then the bites suddenly stop you can move along the beach following the current/flow of the tide to keep in touch with the bass or you can stay in one spot on the beach moving back as the tide floods as the bass will return but this can result in patchy fishing, personally I try to follow the bass along the beach fishing any depression or sandbar where possible. The rigs anglers use are usually personal preference, most will take fish, my personal preference is a long pulley rig with a body of clear 40 - 50 lb line about 24 inches long with a clear 20 lb hook snood the same length as the body, hooks, I use a pennel with a small circle hook above a Kamasan B940 3,0 for worm, squid and fish baits or the same rig with just a single B940 3,0 for crab baits. 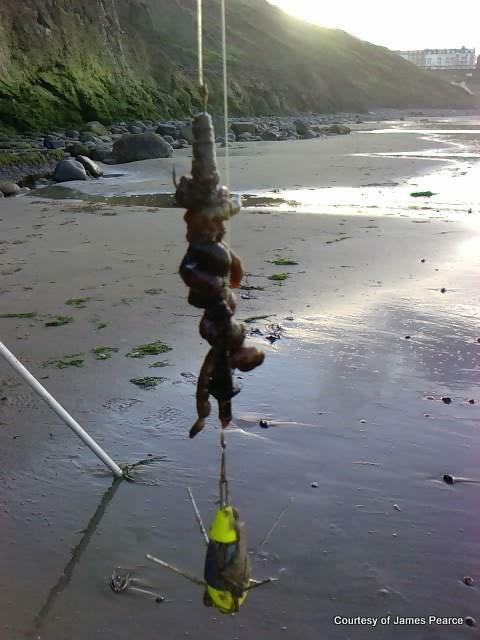 On the pennel version of this rig I also use an impact shield, not because your casting far but it just stops lugworm baits exploding when they hit the water, the reasons I prefer this rig are it does not tangle up on itself in the surf and bass hit a bait hard as if to stun it before they engulf it. The pulley rig used with a light grip lead 3 - 4 oz helps prevent the bass feeling any resistance when it first hits your bait, the light leads also help when bigger bass are about as they hit your bait so hard they just pick up your entire end tackle and hook themselves. The pennel rig version is also a must when fishing big worm baits as 8 times out of 10 you will hook the bass on the top hook of your pennel as the bass hits the top end of your worm baits. Long flowing traces with a sliding lead will work but I find you miss less bites when using a long pulley rig. Plain grip-less leads can also be used these will roll around in the surf and settle into any depressions or gullies in the sand where the bass are likely to be feeding, using a plain lead also gives your bait a little added movement in the surf which will appeal to a hungry bass. Baits for bass are just like we use for the cod in winter only try not to use cocktails just fish each bait by itself, personally I have had much more success fishing baits this way rather than cocktail baits. Fishing the scaurs or where the beach meets the scaurs early season with fresh peeler crab can produce good bags of bass, sand eels and rag worm can also fish well in these areas early season but when the bass are switched onto the green shore peelers tempting them with other baits can be hard. Fresh peeling velvet crabs also fish very well during times when they are moulting and can easily out fish other baits. 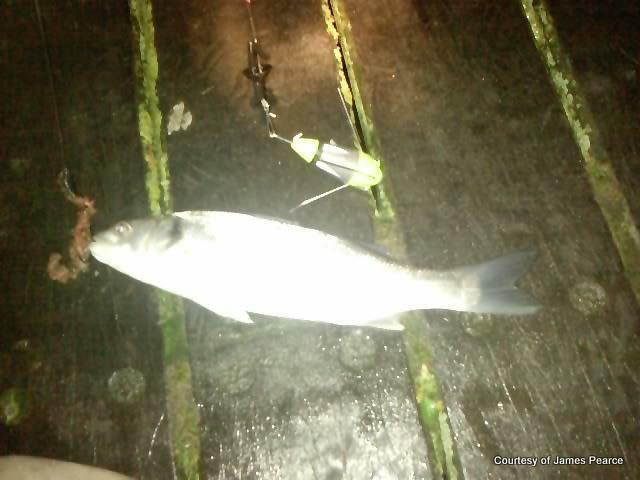 Sand eel, mackerel, whole small squid and rag worm also fish well throughout the year but in the months of October, November when the bigger bass are in close and feeding big fresh yellow tail or fresh black lug worms are a must have bait, do not be afraid of fishing big worm baits in shallow surf. I personally fish up to 6 - 7 lug worms on a pennel when fishing for bass but smaller worm baits still take fish. 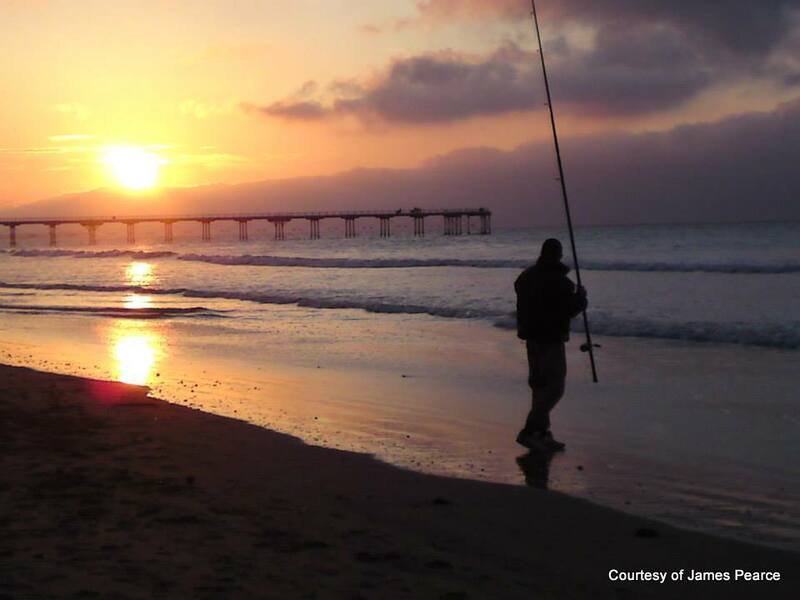 Live sand eels fished on a long flowing trace with little or no lead can be deadly but live sand eels are hard to keep alive but well worth the effort. 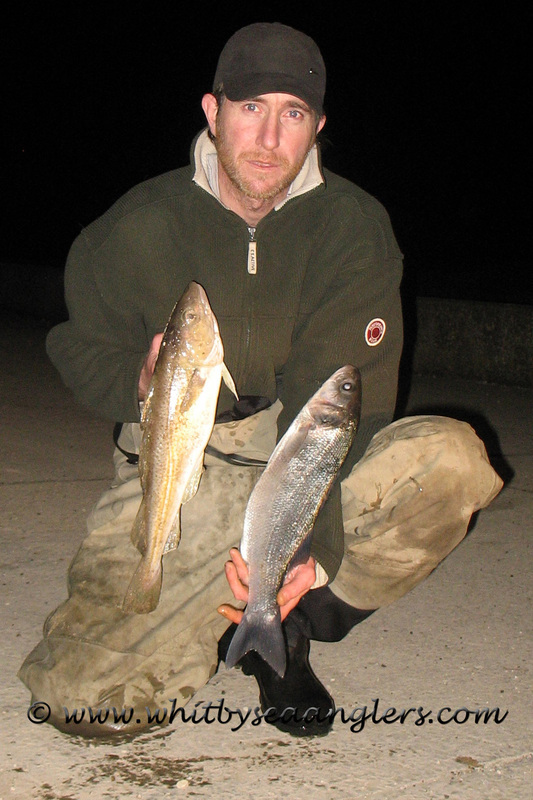 So if your interested in wetting a line but don’t want to scratch about for flounders and small fish whilst waiting for the cod season to start here are a few things I hope can help you get amongst the bass on our local beaches. Fresh green shore peeler crabs early in year when crab are moulting. Casting short where the rolling waves turn to surf is where the bass are, if you are not getting bites try casting shorter into the flat tables between the surf. 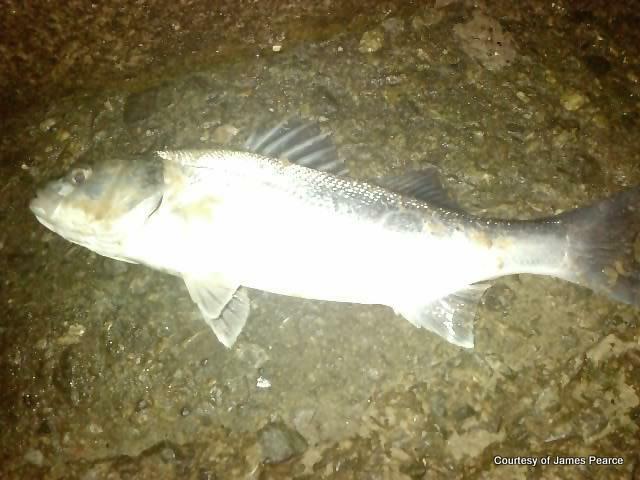 Try fishing into the depressions or gullies on the beaches the bass will swim into these looking for food, every beach is different but bass are creatures of habit and do feed around natural structures, sandbars, gullies and groins. Bass bites can be ferocious and quick, holding your rod can give you an edge when getting lots of missed bites. Pennel setups when fishing big worm baits are a must as bass often hit the top of your bait. Personal preference but long pulley rigs work well when fishing for bass. If you are casting short into the surf and catching lots of small billets/coalies keep casting the same distance as soon as the bass come on the feed this is where they will be, the coalies will disappear and you should start catching bass. Activity from diving birds turns etc usually means they are feeding on small bait fish or sand eels, bass may not be far away, casting your bait into this activity can produce bass. If your picking up loose weed when fishing the surf try casting behind the surf, bass won’t swim and feed amongst this weed but they could be feeding behind it. Bass will feed in the surf when the sea is coloured but the clearer the surf the better your chances will be of catching bass. When unhooking a bass you want to return to the sea try holding the fish in the water place your thumb in its mouth and hold the bottom lip this is safer for the fish and your less likely to get a bass spine in your hand. Keep your fishing, baits and rigs simple do not make bass fishing harder than it needs to be, learn from each session and enjoy your fishing tight lines. 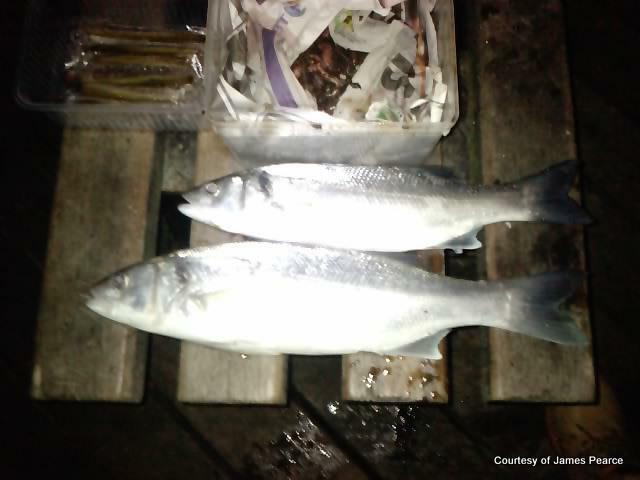 Bass are very slow growing fish, a bass of 36 cm is 4-5 years old and just beginning its mature breeding life, WSAA club size for bass is 41 cm, a bass this size is 7-8 years old and between 1-3 lb in weight. These fish bite and fight hard so if you plan on returning your bass try doing it quickly keeping the fish in the water if possible. 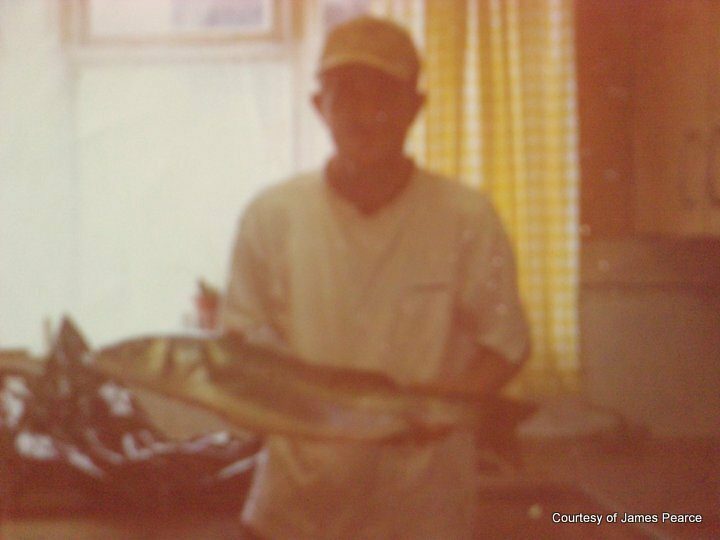 Many thanks James, a very informative write up, I can see my recorded WSAA Record bass of 2 lb 15 oz, caught 3rd December 2008 is not going to stand for long and you are right in what you say, I was not intentionally bass fishing. 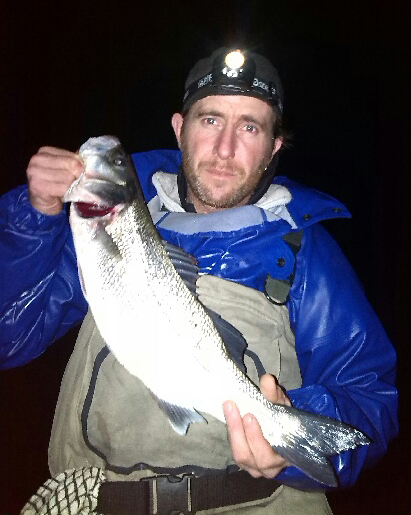 Saturday 20th December 2014 James caught this 3 lb 09 oz bass, first cast 18.00 hrs on an ebbing tide. Reading this article, (the first I've heard of it) since 1st January 2016 'we' anglers cannot land any bass!!! "Under the radar, the EU has sneaked in a new law making it illegal to take home a single bass. 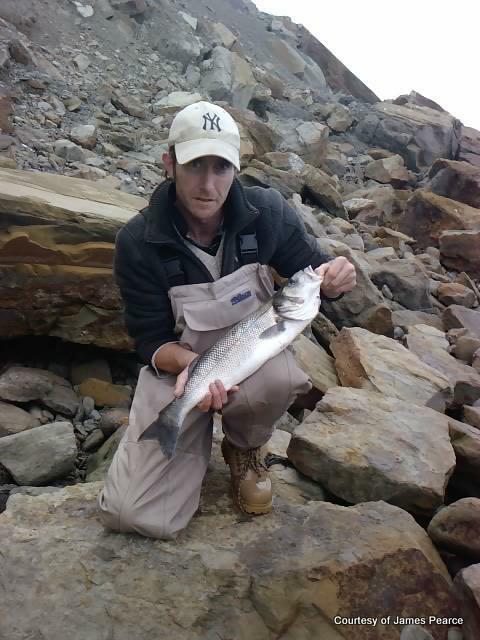 ....but also applies to individual anglers who go no further into the sea than halfway up their waders." "The rules will apply until June 2016, when they will be relaxed. After that, sea anglers will be allowed to keep a grand total of ONE bass each." The sooner 'we' the UK show some longbow archers 'two fingers' to Europe, the better. I'm all for leaving the EU. ​A topic of discussion prior to Bell Trophy registration (Sun 24th Jan 2016) - Latest Bass restrictions from the EU. 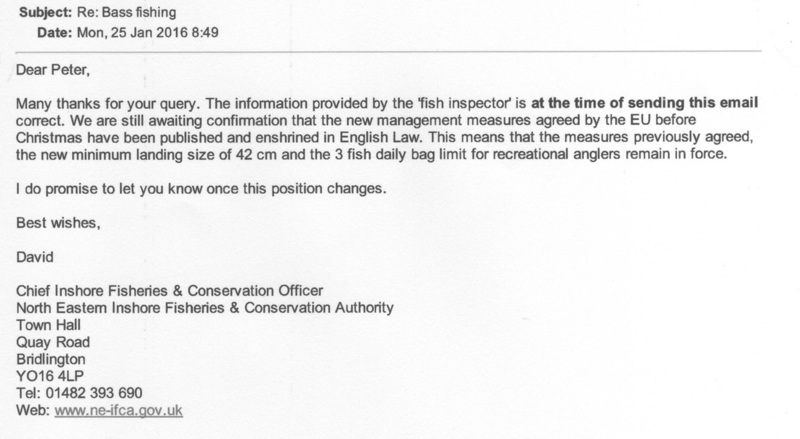 A conversation was recounted by an angler he'd recently had with a Fisheries Inspector - "it's not yet in English law and the 3 bag limit & 42 cms size is still in place for us recreational anglers". 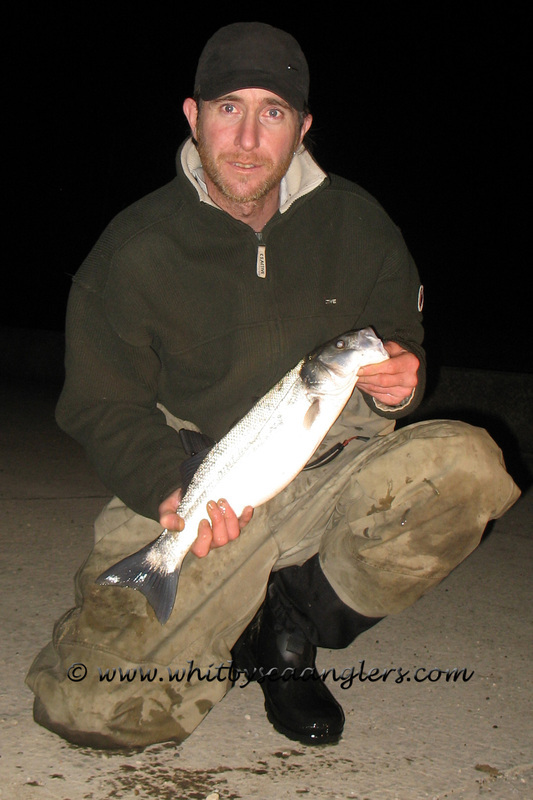 So just before 11pm last night I emailed David McCandless, Chief Inshore Fisheries & Conservation Officer. This morning his prompt reply was waiting for me, and yes we can still catch 3 bass per day. David McCandless has promised to let me know as & when it comes into force. 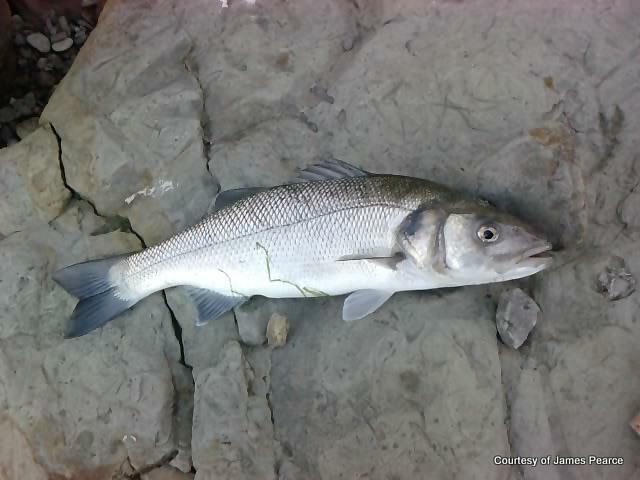 PS I watched Country File last night & the BBC were also saying the Bass ban is now in force - it isn't.